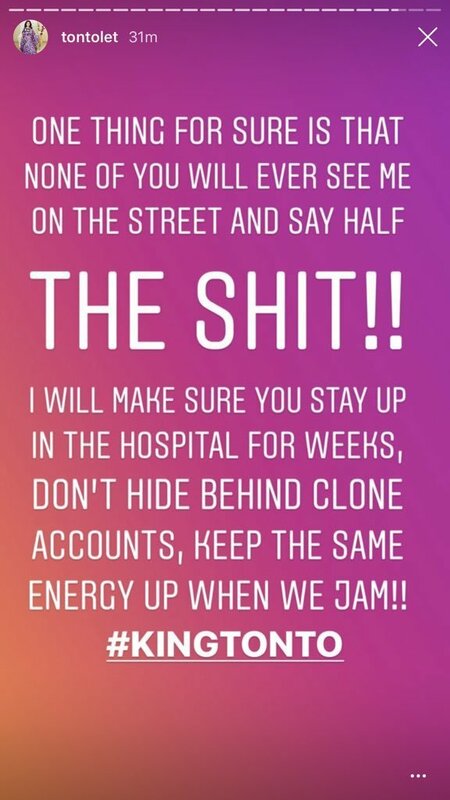 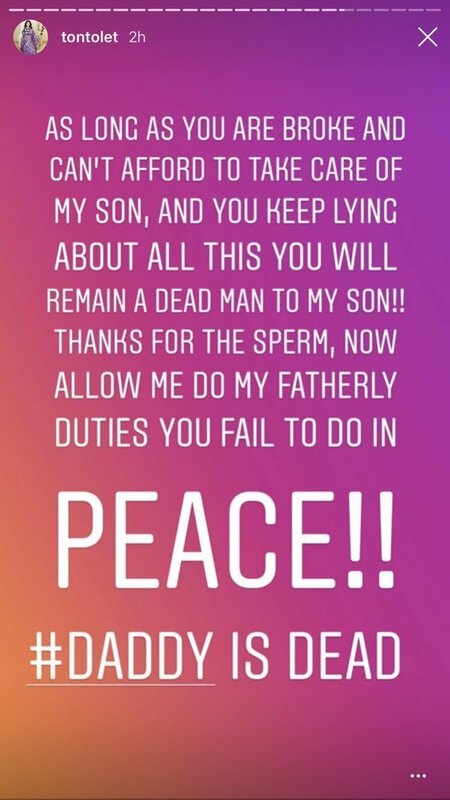 Controversial actress, Tonto Dikeh has continued to drag her ex-husband, Olakunle Churchill on social media and this got worse after blogger, Ogo Oluwa blasted her for attacking her ex-husband, Churchill Olakunle on Instagram, calling her a liar and accusing her of pushing Churchill’s mum down the stairs. 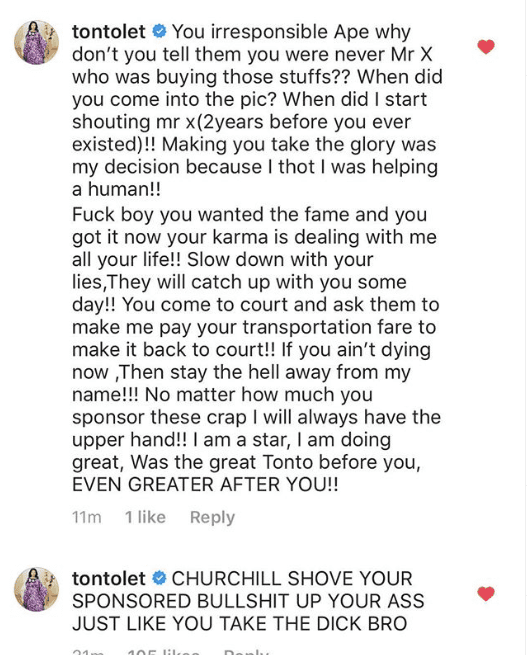 Tonto Dikeh feels the said blogger was sponsored by her ex-husband and since then, she has been dragging him to the mud and it doesn't look like she would be stopping anytime soon. 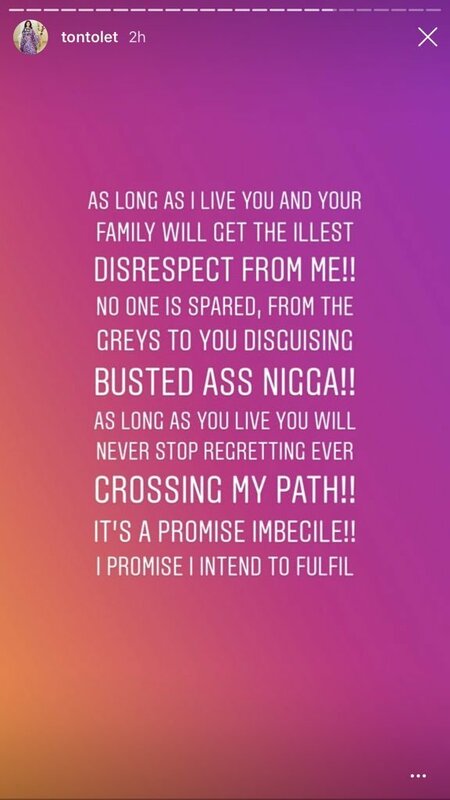 Yesterday, she called him an irresponsible ape and also revealed he was not the Mr X she was always gushing about before she made her relationship public. 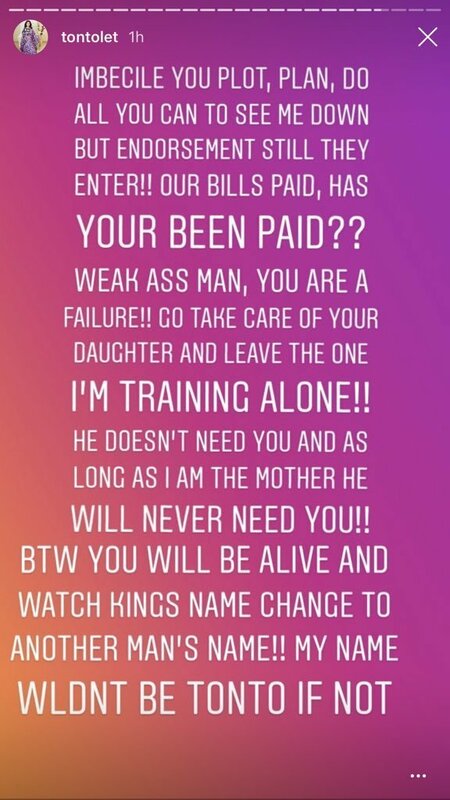 She went further with the bashing today, saying he will remain dead to their son, King Andre, and he will watch as Andre takes another man’s name.